It is a pleasure to review this book by Amnon Ben-Tor, whom I have known for 50 years, and whose ongoing excavation at Hazor (since 1990) I have toured many times. I even visited Yigael Yadin’s dig there in 1957! Yadin’s 1955–1958 and 1968 excavations at Hazor—“the head of all those kingdoms” (Joshua 11:10)—were early in modern Israel’s history and were pivotal in training what became the second and now the third and fourth generations of Israeli archaeologists. Yadin was to the “Israeli school” what Dame Kathleen Kenyon was to the “British school,” Roland de Vaux to the “French school” and William F. Albright and George Ernest Wright to the “American school.” Yet Yadin’s excavations used methods that are now obsolete, and they were never fully published by Yadin himself (partially published by Ben-Tor and others in 1989 and 19971). In particular, the end of Canaanite Hazor in the mid-13th century B.C.E. and the question of an “Israelite conquest”—still a major controversy—were never resolved, despite Yadin’s confident assertions. Thus Ben-Tor, a staff member at Hazor in his early twenties, returned to the site for two dozen seasons (compared with Yadin’s five seasons). The great 180-acre mound of Hazor boasts 21 excavated strata (super-imposed remains of ancient cities) from the late fourth millennium B.C.E. to the Hellenistic era. Ben-Tor’s popular volume here summarizes the results of his 24 seasons of excavations since 1990. (He published the fullscale technical report in 2012.2) But most interesting for BAR readers may be the exposition of Canaanite Hazor’s dramatic destruction c. 1250 B.C.E. and the aftermath in the early Iron Age, or the Israelite era. The evidence for a fiery cataclysm is beyond doubt: Some enemy was taking out its fury on Canaanite Hazor. But who? The Egyptian overlords in their final, desperate days? Local Canaanite petty princes vying for power in the vacuum? Or an invading Israelite army—Joshua’s troops (cf. Joshua 11:1–14). Yadin favored the latter scenario, but Ben-Tor’s Associate Director, the late Sharon Zuckerman, advanced the internecine warfare model. Ben-Tor sides with Yadin, with a spirited defense of an Israelite conquest, including a discussion of the admittedly conflicting Biblical accounts in Joshua and Judges. Yet many will feel that the question remains open. Ben-Tor is right, however, that the possibility of a destruction by invading Israelites cannot be ruled out. But Joshua’s claim that the Israelites defeated and burned Hazor and Judges’ declaration that in a later day the Canaanites still ruled at Hazor (cf. Judges 4:2) cannot both be correct. And today, the archaeological evidence overall clearly contradicts the conquest model. Moreover, Hazor, if indeed destroyed by incoming Israelites, would be an exception. Ben-Tor’s retelling of Hazor’s story throughout is clear and lively, well balanced between fact and interpretation and copiously illustrated, mostly in color. It is a genuinely “popular” book and a great read. Among the excellent and innovative discussions are those of the Early Bronze Age Khirbet Kerak ware; the local origin of the Early Bronze Age IV Syrian-style painted wares; the Middle Bronze Age palace, temple, standingstone complex and cuneiform tablets; and the spectacular Late Bronze Age palace complex and its destruction. The Israelite city (11th–8th centuries B.C.E.) is well presented, with much new data. Ben-Tor’s defense of the conventional chronology for the 10th century B.C.E. (not Finkelstein’s idiosyncratic “low chronology”)—and an Israelite monarchy that early—is right on target. Of course there are, of necessity, some oversimplifications, as well as arguments that can be countered. I am more positive than ever about the Egyptian execration texts (c. 20th–19th centuries B.C.E.) and their correlation with the rise of urban sites in Palestine in the Middle Bronze Age I (or Albright’s Middle Bronze Age IIA). Ben-Tor’s dismissal of my “Proto-Israelite” term for the 12th–11th centuries B.C.E. era as without justification overlooks that it simply represents an element of caution. These folk are not the citizens of the later Israelite state, but they are their authentic progenitors. A final observation: In recent years, several sites excavated fairly recently have been re-excavated in large, longrunning projects, among them Aphek, Hazor, Megiddo, Gezer, Beth-Shemesh, Jerusalem and Lachish, to mention a few. The rationale is clear—unanswered questions—but sometimes I wonder if the effort and expense are justified. Have we really learned that much that is new? Finally, no data reflecting the Assyrian destruction of Hazor c. 732 B.C.E. is presented, which leaves one wondering. This is a welcomed volume that makes accessible to nonspecialist readers the story of more than 30 seasons of excavations at one of Israel’s largest and most important sites. It joins similar popular books on Biblical sites like Gibeon, Jericho, Jerusalem, Megiddo, Shechem and even Gezer (Hebrew only). It can be compared with Yadin’s popular account of his excavations (1975).4 Ben-Tor’s narrative is not quite as spectacular as Yadin’s spell-binder. But his book is clearer, more balanced and more about the site than the author. I congratulate Amnon on taking the time, trouble and expense to provide such a book, and I trust that it will find the wide audience that it deserves. More archaeologists should take responsibility for presenting their work to the public in an accessible format. Only in that way can archaeology earn the public’s trust—and support. Ben-Tor and his colleagues have also devoted enormous resources to restoration and conservation so that Hazor’s lessons from history may be shared with countless visitors for many generations. That, too, is a public service. William G. Dever is professor emeritus of Near Eastern Archaeology and Anthropology at the University of Arizona. A world-renowned archaeologist, Dever has dug at numerous sites in Jordan and Israel and served as director of the American School of Oriental Research in Jerusalem (now the Albright Institute of Archaeological Research). 1. Amnon Ben-Tor, ed., Hazor III–IV: An Account of the Third and Fourth Seasons of Excavations, 1957–1958 (Jerusalem: Israel Exploration Society, 1989); Amnon Ben-Tor and Ruhama Bonfi l, eds., Hazor V: An Account of the Fifth Season of Excavation, 1968 (Jerusalem: Israel Exploration Society, 1997). 2. Amnon Ben-Tor, Doron Ben-Ami and Deborah Sandhaus, eds., Hazor VI: The 1990–2009 Excavations, The Iron Age (Jerusalem: Israel Exploration Society, 2012). 3. 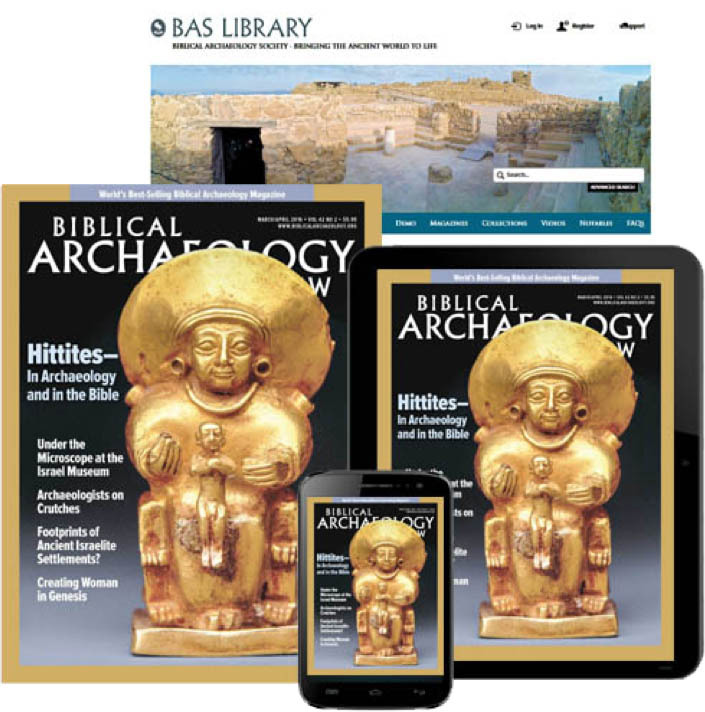 Shulamit Geva, Hazor, Israel: An Urban Community of the 8th Century B.C.E., BAR International Series 543 (Oxford: British Archaeological Reports, 1989). 4. Yigael Yadin, Hazor: The Rediscovery of a Great Citadel of the Bible (New York: Random House, 1975). Amnon Ben-Tor’s study confirms exactly mine on the Israelite chronology ( https://www.academia.edu/31803253/).